Helengeli has recently reopened after its transformation into the new Atmosphere resort. “Genuine Value” is the key brand essence of OBLU by Atmosphere. 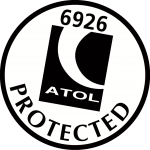 All of its portfolio will deliver value for the cost conscious traveller without compromising the characteristics familiar with the Atmosphere Hotels and Resorts’ top class service and quality. 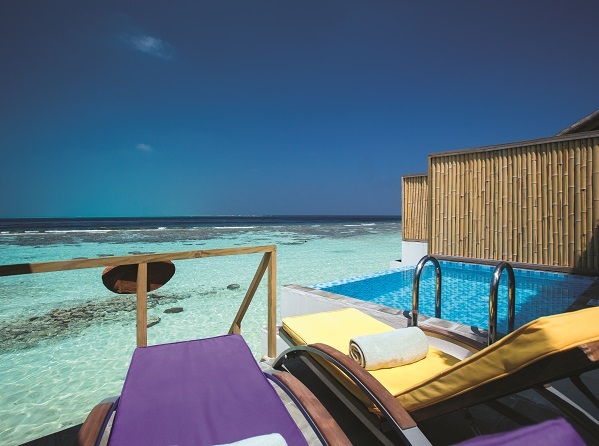 The refurbished resort features contemporary Maldivian architecture in a trendy fresh vibrant color palette. 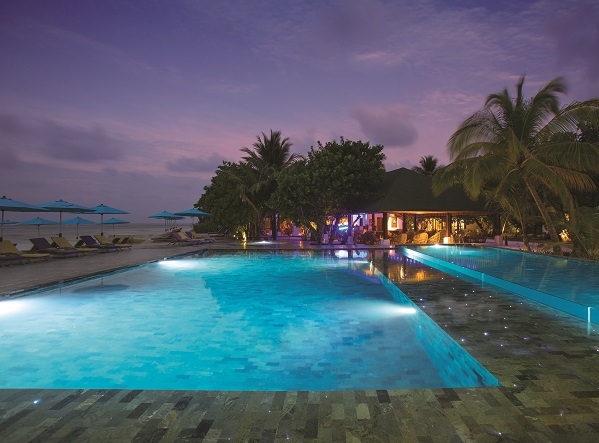 Helengeli is famed for its exotic house reef (we rate it as one of the best for snorkelling in the Maldives) and being located in the eastern rim of the North Malé atoll, unparalleled dive locations are within the vicinity of the island. Helengeli was always a fantastic resort with the possibly the best house reef for snorkelling we have experienced. However, the resort infrastructure has now been totally upgraded so that it matches the great beaches and outstanding underwater experience. We stayed here for 2 weeks with our boys Matthew 13 and Thomas 11. We immediately warmed to the natural simplicity of the island. It took just a little while longer for the caring personality of the island to shine through and by then we were hooked. Our first snorkelling trip ‘wowed’ us all. No where else have we seen so many fish and of such variety in one snorkelling trip. Octopus, turtles, rays, eels, lionfish, napoleon fish, squid, reef sharks on top of the usual suspects were all sighted on that first trip. 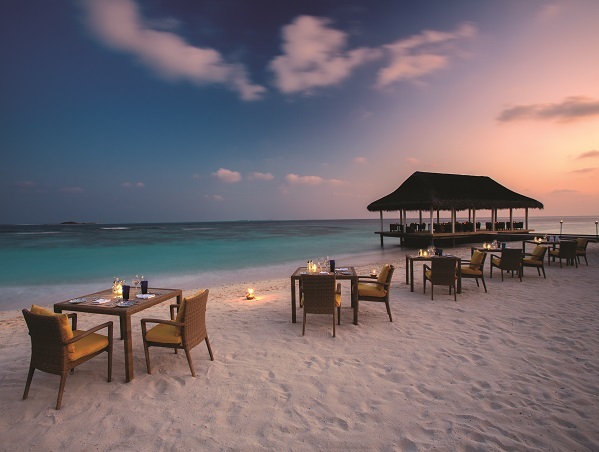 This is as good as it gets in the Maldives. 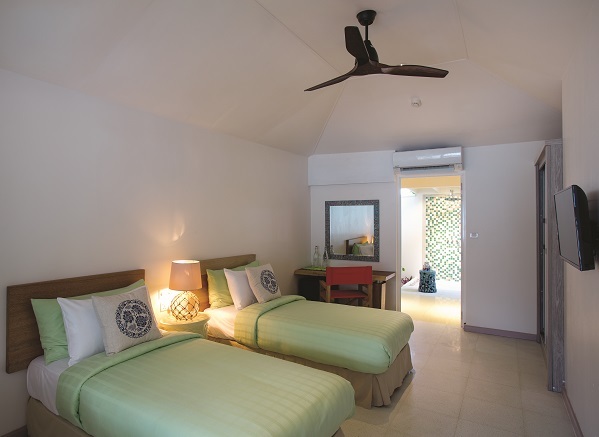 There are four types of accommodation with Beach Villas the entry level category with bright and vibrant interiors, an outdoor veranda with daybed and an open air bathroom. 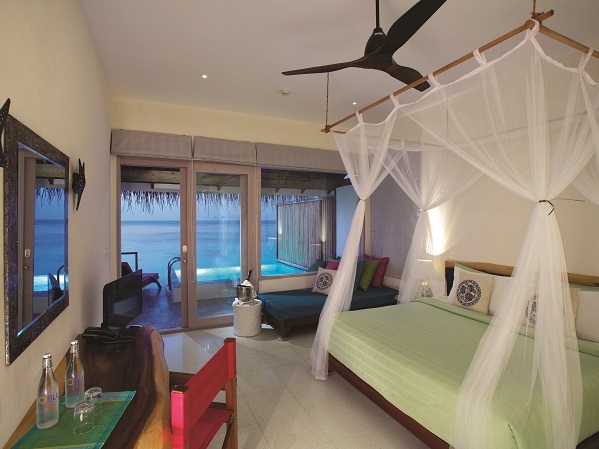 The Deluxe Beach Villas are larger with direct access to the beach . 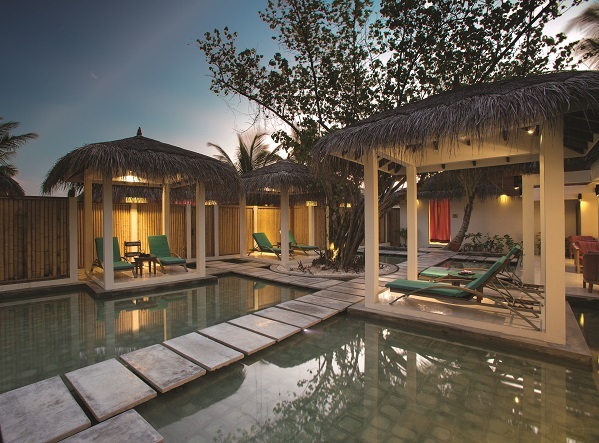 The Lagoon Villas are larger again and are half over the water with the deck providing direct lagoon access. 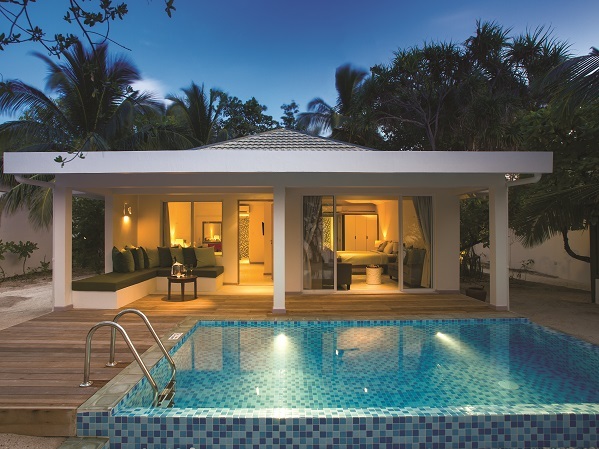 Each villa has its own plunge pool. 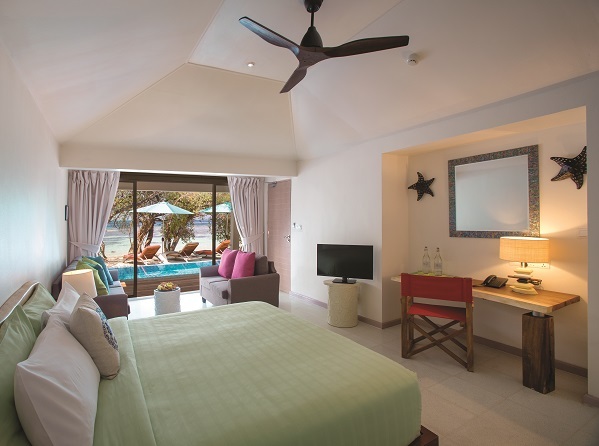 Helengeli also has two Suites, each with its own swimming pool. These have a main bedroom plus a twin room and are perfect for families. 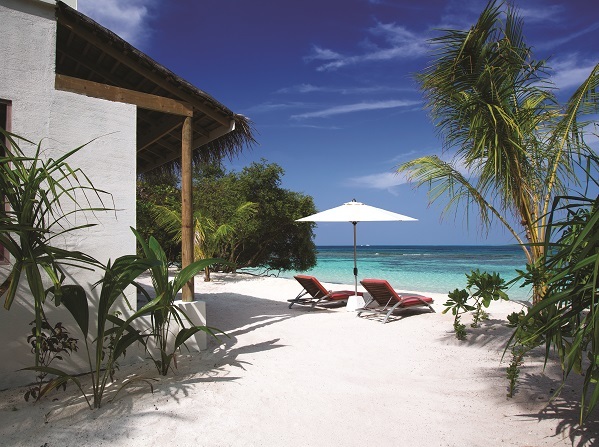 House Reef: The house reef is excellent and close to the shore all round the island. There can be a current but our experience is that providing you snorkel in the same direction as the current, there is no problem. The array and quantity of fish is unmatched in anywhere else we have been (56 islands so far!). Diving: The PADI certified dive school and watersports centre operates a full programme of courses and boat dives to local sites. This is very much a dive island, you won’t be disappointed. The lobster cave on the house reef is a particular highlight. Water Sports: Snorkelling equipment, excursions and lessons are available as are motorized and non-motorized watersports. Spa: For those who want to be pampered, ‘Elena by Atomsphere’ offers a range of traditional and innovative treatments and massages. 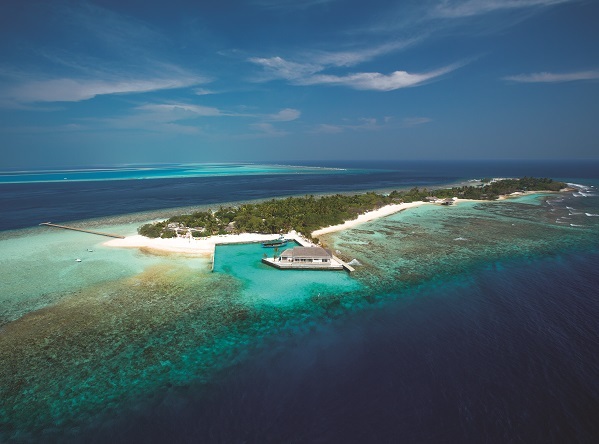 Diving: Due to Helengeli’s location on the outer reef the unspoiled house reef is just off the beach, easily accessible for snorkelling and divers. Some of the best dive sites, such as the Helengeli Thila, are also found near Helengeli. The dive school is professionally run and equipped with the best modern equipment. Experienced, multilingual European diving instructors teach PADI courses up to internationally accepted diving certificates of different levels. Twice a day diving excursions to some of the 36 dive sites nearby Helengeli are arranged, some as close as 5 minutes from the island.